Jonathan Friedland and his team have done it again! After extensive litigation, and right before the parties were set for trial and about to select a jury, The Friedland | Carmona accomplished a major settlement that will allow the victim and her family to live comfortably for the remainder of her life, as well as secured admission of liability from the negligent supermarket. Here, a woman slipped and fell in a major supermarket due to a liquid substance spilled on one of its aisles. As a result of the accident, the victim sustained a patella fracture and had to be submitted to two surgeries, including an Open Reduction and Internal Fixation (ORIF) surgery. Moreover, the victim loss three months of work and now has degenerative arthritis. Many of the 10 million or so auto accidents reported each year in the United States go much deeper than the dents and scratches you see on the surface. Some of these accidents are staged or never happened at all. Yet the cost to holders of auto insurance policies is very real. In the last few weeks, the authorities have made arrests in two separate cases of Personal Injury Protection (PIP) fraud scams. 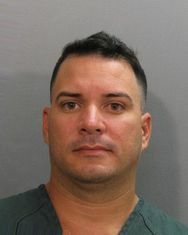 Last week, a Jacksonville resident, Sandy Morales, the owner of Gate Parkway Diagnostic Center was arrested after an investigation by the Florida Department of Financial Services concluded that he has fraudulently filed over $100,000.00 in billing to at least twenty insurance carriers. Investigators say Morales staged multiple car crashes, paid participants to pose as passengers and then paid those participants to seek treatment in his clinic for fake injuries. For further information about this scam, read here. Volunteerism has a long and honored tradition in the history of our nation. The traditions of community service and citizen participation have been at the heart of American civic culture since the nation was founded. Whether through town hall meetings, the local school board, a political party, a hospital auxiliary, or one of our innumerable other national and local organizations, Americans have felt and acted on the need to give something back to their communities. Historically, our greatest strength as a nation has been our willingness to be there for one another. Citizen participation is part of our birthright. Volunteering is not a conservative or liberal, Democratic or Republican issue; caring and compassion simply help to define us as being human. Volunteering not only helps communities, but it also helps individual volunteers to integrate their own idealism and realism in a healthy way. An idealist without a healthy dose of realism tends to become a naive romantic. A realist without ideals tends to become a cynic. We are very happy to announce that Jonathan Friedland, Esq., the managing partner of the Friedland | Carmona, has just been named as one of South Florida’s Top Lawyers in the South Florida Legal Journal. As one of the top legal newsletters, referral services, and information sites for legal news and help, being named a top lawyer by this prestigious organization is a high honor for the office. Simply put, it is a great achievement for the office and Mr. Friedland himself. You can read more about the award and the recipients here and find out more information about the South Florida Legal Guide on their website. It has been an exciting year for the office, and a successful one for the clients of the Friedland | Carmona. Just recently, Mr. Friedland managed to settle a major slip and fall case against a local restaurant, with a monetary settlement of $500,000 dollars for major back injuries to the client. Mr. Friedland was also able to settle a particularly difficult and complex car accident case which settled for over $1 million against a pair of negligent drivers drag racing in Miami, and their insurance companies. Mr. Friedland continues to pursue every legal avenue for his clients, and gets the results needed to put lives back together after debilitating accidents or negligence of another. If you know someone that has been injured because of the fault of another or the negligence of an establishment, don’t hesitate, call today! Let one of the Best Lawyers in South Florida take care of you and your family! A young woman is dead in Miami-Dade after a serious Columbus Day weekend Crash off of Biscayne Bay. The accident involved a large yacht, carrying 20 or more passengers, that struck a smaller boat which was carrying the deceased woman. The deadly crash comes not even 4 months since the multiple victim crash on July 4th that claimed the lives of four young people. Miami-Dade police as well as the Coast Guard, has focused intensely on education of boaters in the area, after one of the most deadly boating seasons in the history of Miami-Dade County. In addition to the deceased, two more boaters were injured in the accident, and rushed to the hospital. Victims from the small boat were thrown into the water, and eventually rescued by boaters from the yacht. Coast Guard crews are still investigating the accident, and made statements indicating that Columbus Day weekend is one of the deadliest in the Miami-Dade area during the boating season. You can read more about the deadly crash here. Like the accident here demonstrates, boating can be a dangerous pastime. If you or a loved one has been injured in a boating accident, come to a law firm with experience in the complex area of accident and personal injury law. The Friedland | Carmona will provide the experience, expertise, and ease of accessibility that any victim needs to get the compensation that they deserve for any type of accident. Call today! This November, Florida will again choose its new governor. With the polls indicating an extremely close race, it is more important than ever for all Florida Citizens to get out and vote for their candidate, and to be informed of what each candidate will be best for the interests of the Sunshine State. Charlie Crist’s record for protecting the rights of individual citizens to get access to courts and impartial judges is unmatched by opponent Rick Scott, and Crist will continue his campaign for equal protection if he is elected governor again. There are a multitude of reasons why Florida voters should support the campaign of Charlie Crist, but there are several that are extremely important to the field of law and equal justice. Florida is an extremely diverse state, yet has a very low percentage of minority justices and circuit court judges. Charlie Crist has repeatedly appointed minority representing judges, including the second ever African American Supreme Court justice. This is in stark contrast to incumbent Rick Scott, who has consistently appointed only judges with his political beliefs, defeating the purpose of objective judgment in the courts in Florida. Most of his appointed judges have also made it harder and harder for Plaintiffs to make claims in Florida Courts, creating difficulty for injured parties to seek the insurance benefits and compensation they deserve from all sorts of civil and criminal actions. Possibly most importantly to the protection of legal rights in Florida is equal protection for all Floridians, including access to health care, access to courts, and social issues like women’s rights and education reform. Charlie Crist has an impressive track record for supporting the rights of minorities, women, and all Floridians in his tenure as a senator, governor, attorney general, and education commissioner. Crist has also supported much needed insurance reform in the state of Florida, to continue to best protect consumers from the ever changing property and health insurance front in the United States. Governor Rick Scott on the other hand, has been a stagnant opponent to much needed reform for women’s rights, consumer protection, and education, consistently vetoing bills on these important issues. 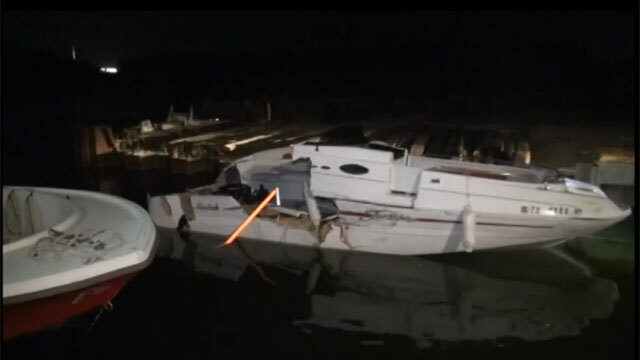 After the fireworks show of July 4th, a mad dash back to the boating slips of Dinner Key Marina turned deadly for 4 boaters. While travelling at high speeds with limited lighting, a 32-foot vessel driven by a young man slammed into another boat at high speed, causing the operator of the first vessel to be thrown overboard, and a young man on the second vessel to be killed instantly. The passengers of the first boat were also severely injured, with all but one losing their lives as well. After being thrown overboard, the vessel was left without an operator, and spun out of control, hitting another boat carrying 9 passengers. Luckily, only 1 of the passengers of the third vessel sustained minor injuries. Shortly after, a member of a commercial salvage crew was able to get aboard the first vessel under control, but not before the death toll was already too high. Investigators are still unsure as to the fault aspect of the case, but Florida Fish and Game did speak out, mentioning that people need to be more careful when the waters are busy. Responding officials say that the second that the fireworks stop, all the boats are trying to get back to the Marina first, to get their boat out as quickly as possible. That many boats in the dark moving very quickly is a recipe for disaster. Continue reading the story here. If you or someone you know has been injured in a boating accident due to the negligence of another, legal action might be the only recourse. The personal injury attorneys at the Friedland | Carmona have extensive experience in all areas of personal injury law, including boating accidents and wrongful death suits. The Friedland | Carmona can get you the compensation you deserve, and help families through the healing process that accompanies injury and loss. The “new” PIP law, which took effect in July of this past year, limits benefits to $2,500 unless a medical professional determines the accident victim is suffering from an “emergency medical condition.” “Medical professional” includes doctors, osteopathic physician, dentist or a supervised physician’s assistant or advanced registered nurse practitioner, but excludes chiropractors. Prior to the change, $10,000 was the maximum amount insurance companies were required to pay for medical bills and lost wages, no matter who was at fault for the accident. The Florida Legislature has finally reached a deal regarding Governor Rick Scott’s proposed Personal Injury Protection (PIP) reform. “This is a triumphant moment for the residents of Florida. Members of the Legislature heard our cal to put Floridians ahead of special interests and combat the fraud that has become a billion dollar tax on drivers,” Scott stated. PIP refers to Florida’s no-fault car insurance program. The new program will continue to require $10,000 in minimum coverage, which can be used by anyone seriously injured in a car accident. However, now, victims with moderate, also know as “soft-tissue,” injuries can only collect up to $2,500 worth of benefits. Additionally, chiropractors remain part of the PIP system and victims have up to 14 days to seek treatment. The state plans to complete an actuarial study of the new PIP law to determine how much money policyholders will actually save. Following the completion of the survey, insurance companies will adjust their rates to meet the new threshold requirements. Insurers claimed “PIP far outpaces what they receive in premiums, so it may be hard to pass along those savings in the short term.” Regardless, insurers are open to the reform and will work within the confines of the bill. Scott spent the end of the week trying to convince senators to accept the reform after several senators complained that too many concessions were being made. “The compromise required both chambers to concede on some hot-button issues, such as attorney fee caps, requiring insurance companies to roll back rates and allowing insurance companies to examine policyholders under oath when investigating potential fraud.” Gov. Scott’s PIP reform was narrowly passed in the Senate, with a 22-17 vote, but flew through the House with an 80-34 vote. Lawmakers pass PIP reform, www.miamiherald.com March 09, 2012. The staff at the Friedland | Carmona has always made helping the community a main priority in their lives. In addition to helping the homeless and participating in Kiwanis Club of Little Havana, the lawyers at the Friedland | Carmona have been dedicated to helping youth sports in their South Florida community. The Friedland | Carmona sponsors a youth basketball team in Tamiami Basketball League. Managing partner, Jonathan Friedland, coaches the team, which fared very well in the past season. Mr. Friedland also coaches youth soccer teams in the area, while Mr. Carmona, an associate at the Friedland | Carmona, participates in the Miami Sport and Social Club‘s soccer team. Mr. Friedland also coaches teams for Temple Beth Am and the Florida Justice Association. Additionally, Mr. Friedland is active in the Big Brother Big Sister program in South Florida.